PLEASE READ THIS LETTER – DEJOBBED, BEWIFED, AND MUCH CHILDRENISED | Thoughts of a Calabarboy. 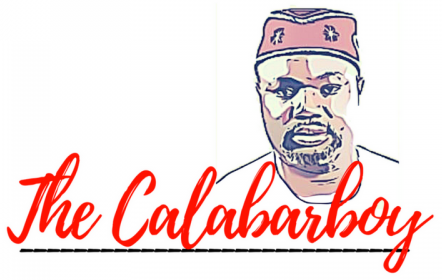 PLEASE READ THIS LETTER – DEJOBBED, BEWIFED, AND MUCH CHILDRENISED – Thoughts of a Calabarboy. As my pseudonym reveals, all things Calabar excites me. I literally go digging historical documentation to find something about my beloved city. Being a city that has a visible coloration of colonial foray, I literally drool over stories of the days when Efik men paraded themselves as the official mediators between the White man and black man. I first came across this letter on an amazing group on Facebook called Nigeria Nostalgia. As hilarious as it seems, it opened a window into the years when the English language was separating the men from the boys in our colonial society. 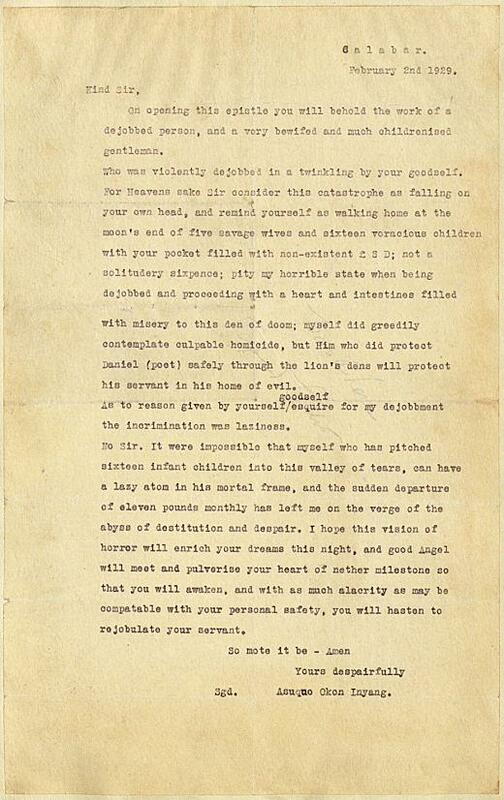 I recently came across it again while reading through other letters on the website called Letter of Note, and thought I should share the actual letter and also repost the transcript for those who might not be able to read the actual letter. The letter was written in 1929 by a guy called Asuquo Okon Inyang to a government official in protest of his dismissal from work for laziness. His choice of words are quite hilarious, and I wonder if these words were actually permissible at the time. → BOKO HARAM WAS FOUNDED BY SANUSI?? ?